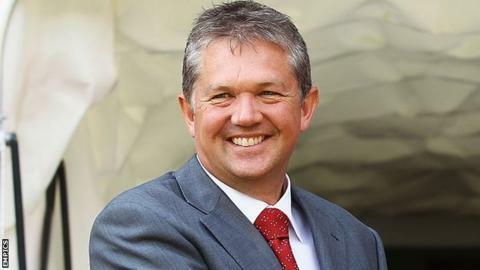 Nottingham Forest have parted company with chief executive Mark Arthur, reports BBC Radio Nottingham. The club's figurehead has left the club after 13 years and Forest's Kuwaiti owners, the Al Hasawi family, have sacked head of recruitment Keith Burt and club ambassador Frank Clark. Arthur was appointed in 1999, having made the short move from Nottinghamshire County Cricket Club. A source close to Clark said that the decision had come "out of the blue". The former European Cup winner, 69, has a strong association with the Reds, having spent four seasons there as a player before returning for three years as manager in 1993, when he succeeded his old boss Brian Clough, and, more recently, as chairman. Burt had been at the City Ground for seven years. Meanwhile, Forest boss Alex McLeish has confirmed that Karl Darlow will be his first choice goalkeeper. McLeish has said that he was after an experienced keeper to replace Lee Camp. who has been told he can leave after failing to agree a new contract. Forest are closing in on Kuwait international keeper Khalid Al-Rashidi, but McLeish sees 22-year-old Darlow, who has just returned from loan at Walsall and has only played three games for the Reds, as his "first choice at the moment". McLeish added: "The only goalkeeper that will be coming in is Khalid. "He'll be back-up to Darlow until he acclimatises."